The class provided the students with an opportunity to learn about some of the buildings we walk by (and, for some of us, live in) every day, and to appreciate them from an architectural point of view. This means carefully seeing the buildings in a new way and asking hard questions: not just “What is its predominant style?” and “What do you call that kind of pillar?” but more searching questions like “Is this building ‘successful’?,” “Have subsequent renovations retained a sense of aesthetic integrity?” and “How does the building contribute to, or detract from, the built environment of Amherst College?” These are some of the questions architecture critics wrestle with every day. Hence the class also gave us a taste of what it’s like to think and write like an architectural journalist. Seelye House, formerly Psi Upsilon. Putnam & Cox, architects, 1913. The Amherst campus is a beautiful educational setting — exquisitely beautiful, in my opinion, at certain times of the year. And it is also quite historic, reflecting the influences of many notable architects and landscape designers such as McKim, Mead and White, Frederick Law Olmsted, Benjamin Thompson and Edward Larrabee Barnes. In the 19th century, like most colleges, Amherst had to rely on upper-class students to find their own living arrangements. This they did, almost assuredly with great pleasure, mainly by living in fraternity houses. This arrangement allowed upperclassmen to enjoy more autonomy away from the often oppressive rules and oversight of the college administration. Porter House, formerly Delta Upsilon Delta. Allen Cox, architect, 1916. 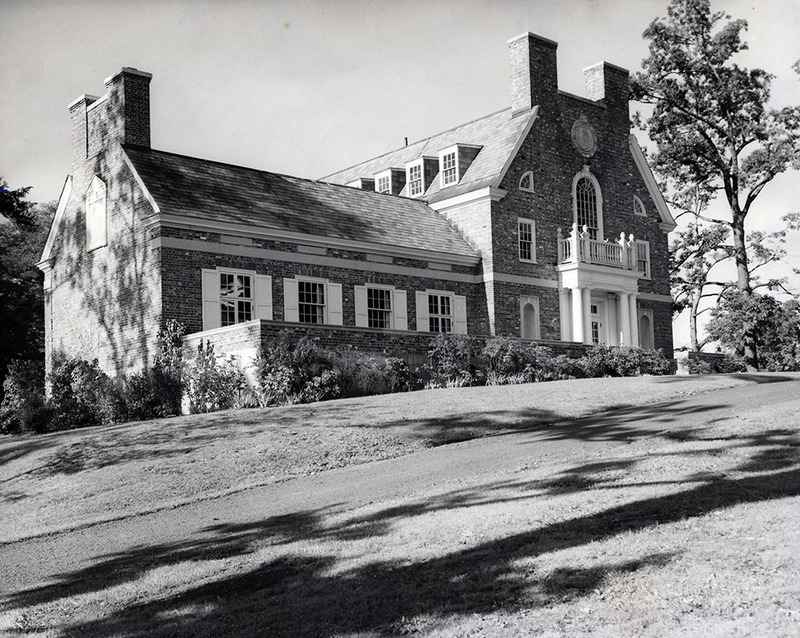 The fraternity houses were usually impressive large residences, and without exception they could be described as “homey” or indeed “palatial” in comparison to the cookie-cutter boxy sameness of institutional dormitories. Alumni fraternity brothers raised large amounts of money to erect these houses — even in the worst economic times — as a token of love and brotherhood as well as a showpiece announcing their exclusivity, success and refinement. 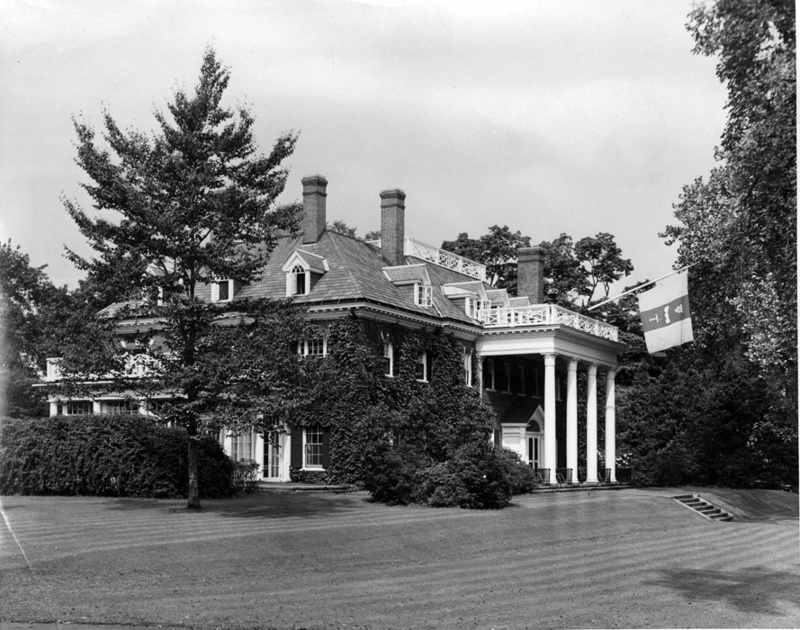 Plimpton House, formerly Delta Kappa Epsilon. Allen Cox, architect, 1916. 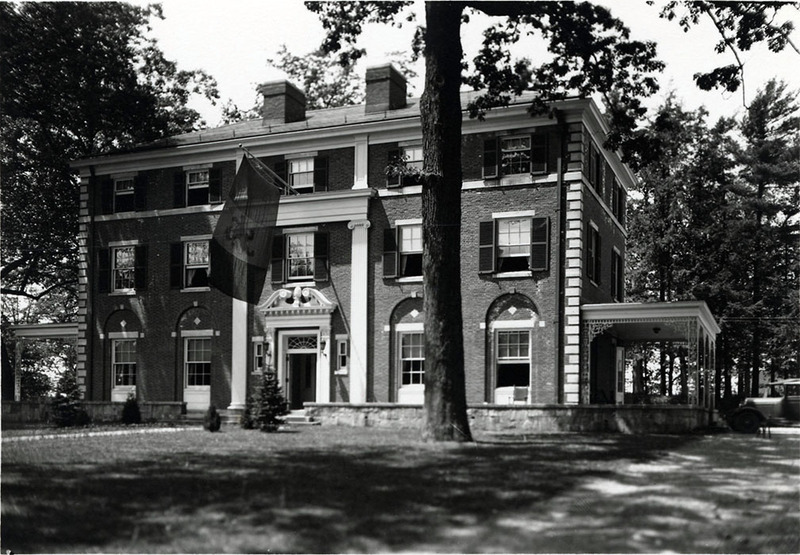 Beginning in the early 20th century and lasting several decades, Amherst’s fraternities embarked on a house-building spree that produced many of the fraternity houses that still grace the campus — and which serve, since the abolishing of fraternity houses in 1984, as college residence halls. The building program was fueled in no small part by competition among the fraternities — if one house had by far the most comfortable, luxurious, impressive furnishings, then all the others would be at a disadvantage in attracting the kind of men they wanted to join their ranks. So from 1913 to 1940, the frats built. 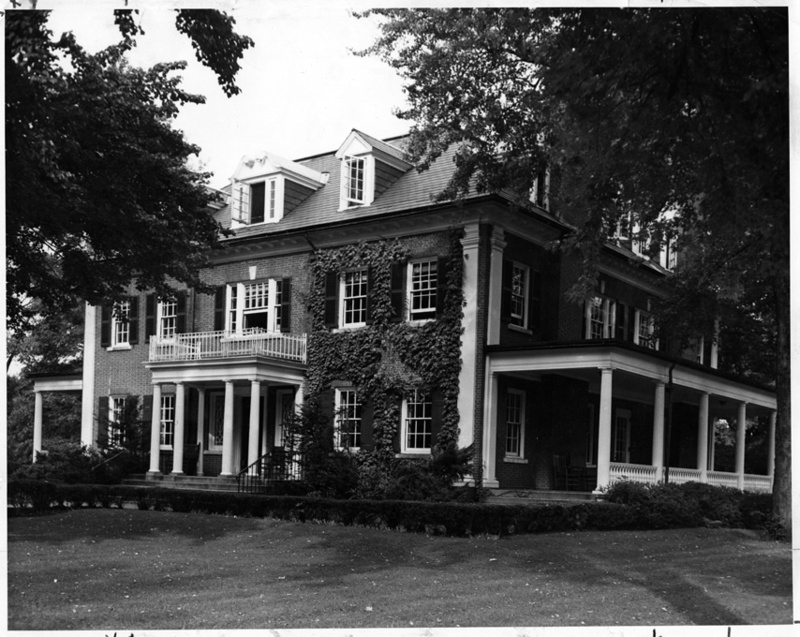 Newport House, formerly Phi Delta Sigma. Allen Cox, architect, 1913. 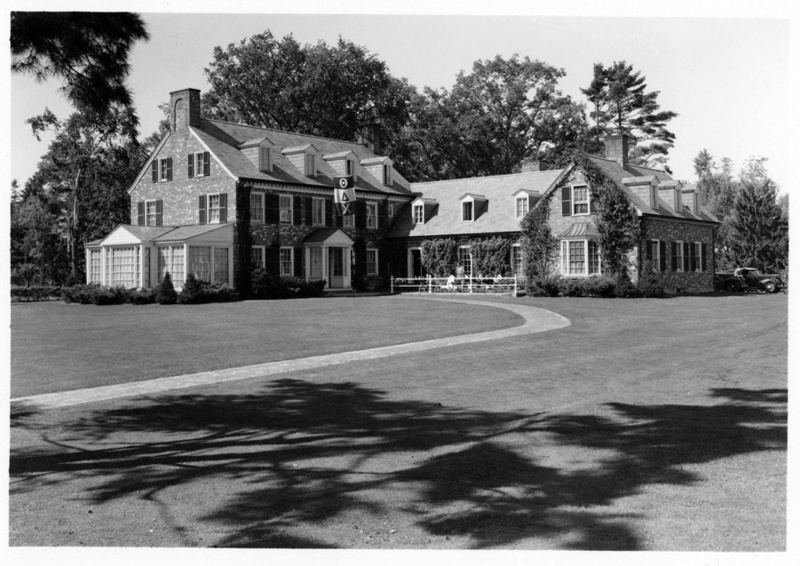 Many of the houses shared the same architect, Allen Cox of the Boston firm of Putnam and Cox. Not surprisingly, therefore, they show different permutations of the same elements from several architectural traditions — neo-Georgian, neo-Classical and Colonial Revival — that were popular in the early 20th century. 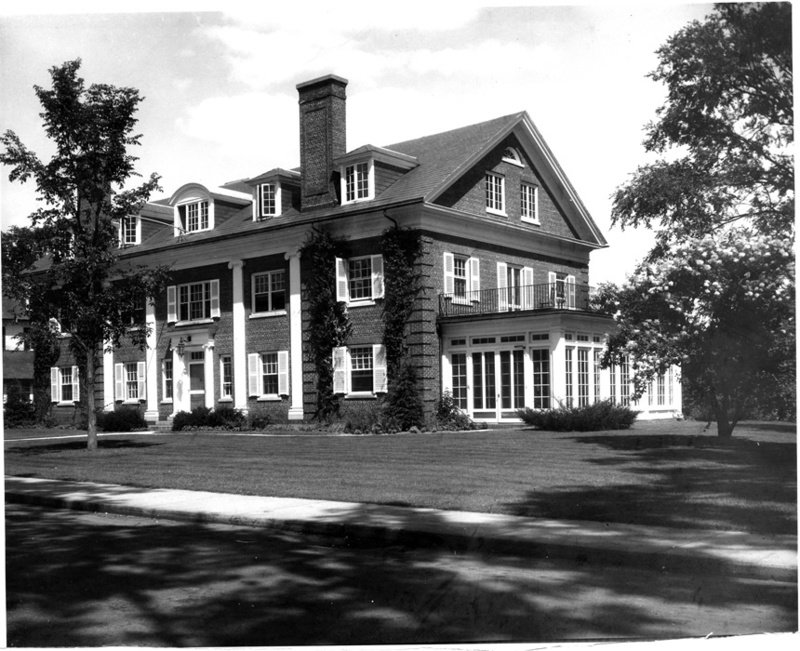 Mayo-Smith House, formerly Delta Chi Psi. Herbert Wheeler, architect, 1923. 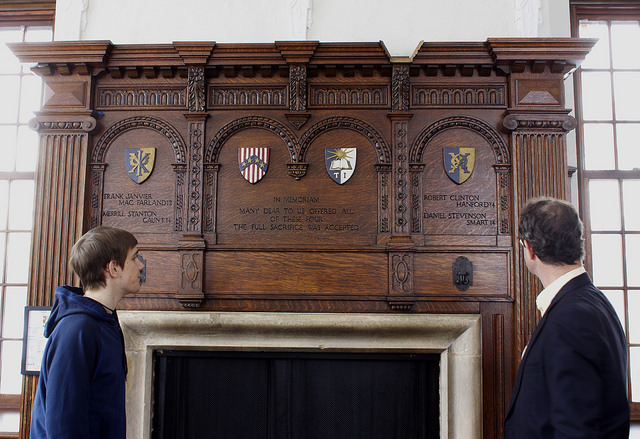 The sameness was broken by Herbert Wheeler in his design for Chi Psi Lodge in 1923 (above), a lovely work of Tudor/Renaissance Revival that is one of the first college houses to greet visitors arriving at the college from the west. 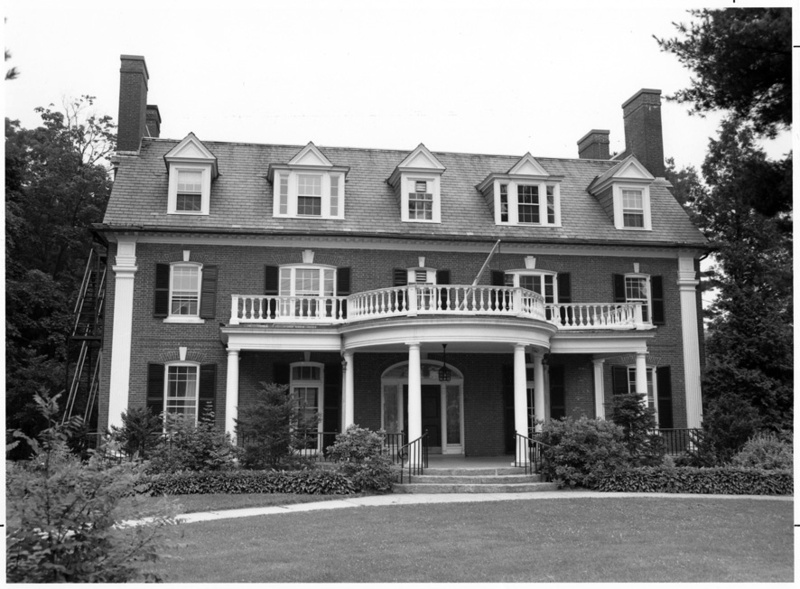 Marsh House, formerly Phi Gamma Delta. Robert Cutler, builder, ca. 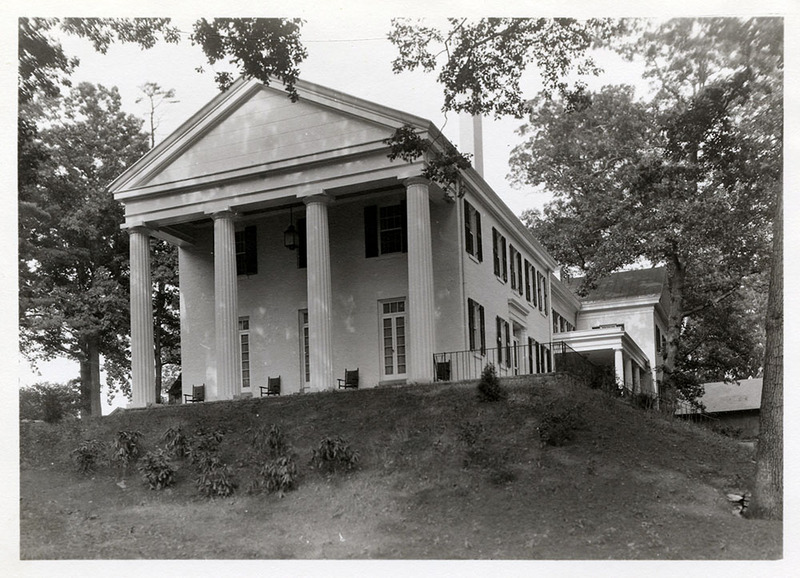 1835; significant renovation by Karl S. Putnam, architect, 1929. The rest of the houses are pictured below. Undeniably, all of these buildings raise up the architectural quality of the Amherst campus. The college has recognized this fact by embarking on a renovation campaign in recent years to save them from the predations of decades of hard use by the fraternities, and to adapt them to the much-changed social and technological needs of the modern-day college. But five former fraternity houses have still not undergone renovations. Clearly the funds to preserve them will be money well spent! 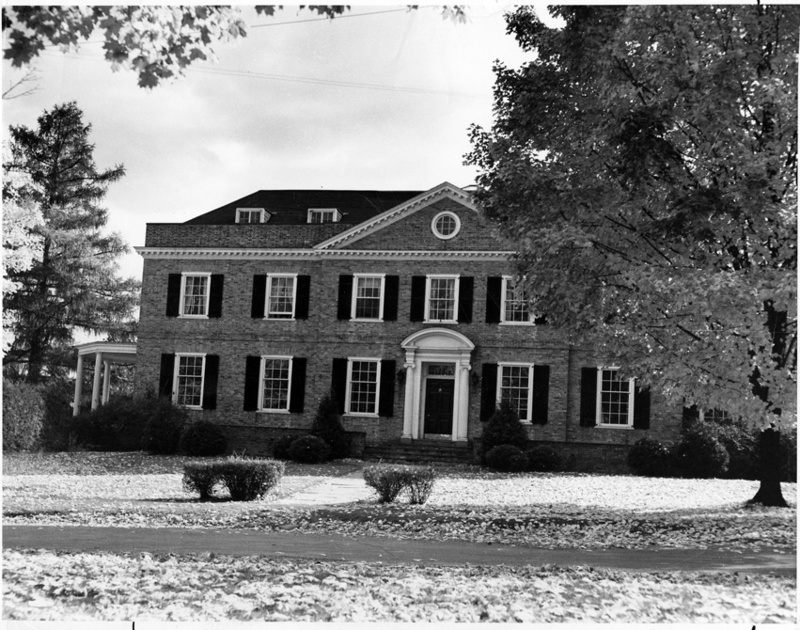 Tyler House, formerly Delta Tau Delta and Kappa Theta fraternity. J.D. Leland, architect, 1932. 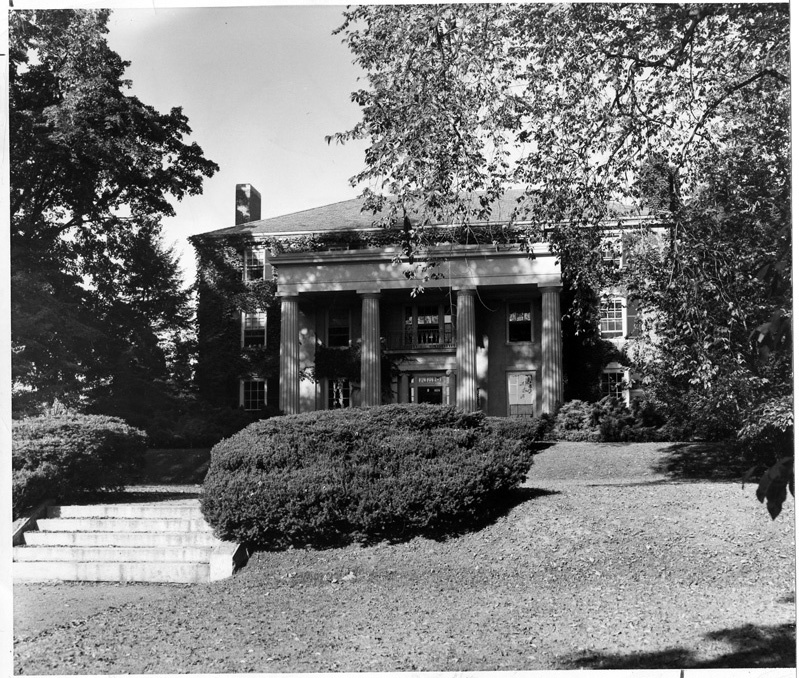 Lipton House, formerly Phi Chi Phi fraternity, then Hamilton House. Allen Cox, architect, 1918. Humphries House, formerly Alpha Theta Xi fraternity. Architect unknown, 1891; reconstructed facade, C.H. 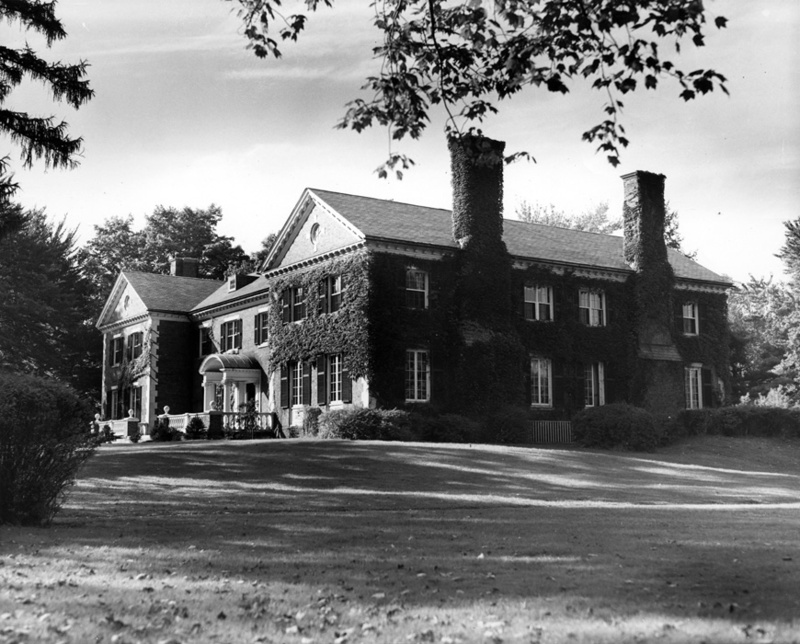 Sherwood, architect, 1940. 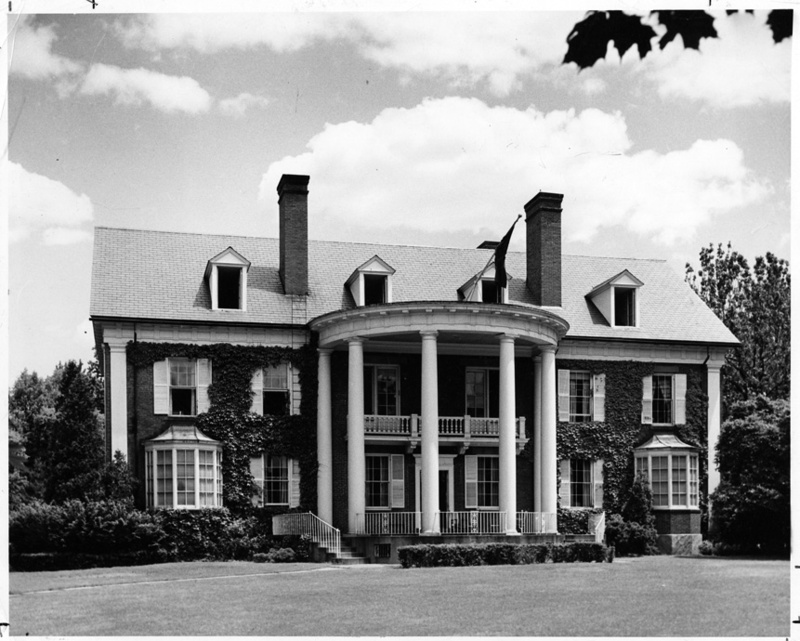 Hitchcock House, formerly Alpha Delta Phi fraternity. Maurice B. Biscoe of Andrews, Jones, Biscoe, and Whitmore, architect, 1928. 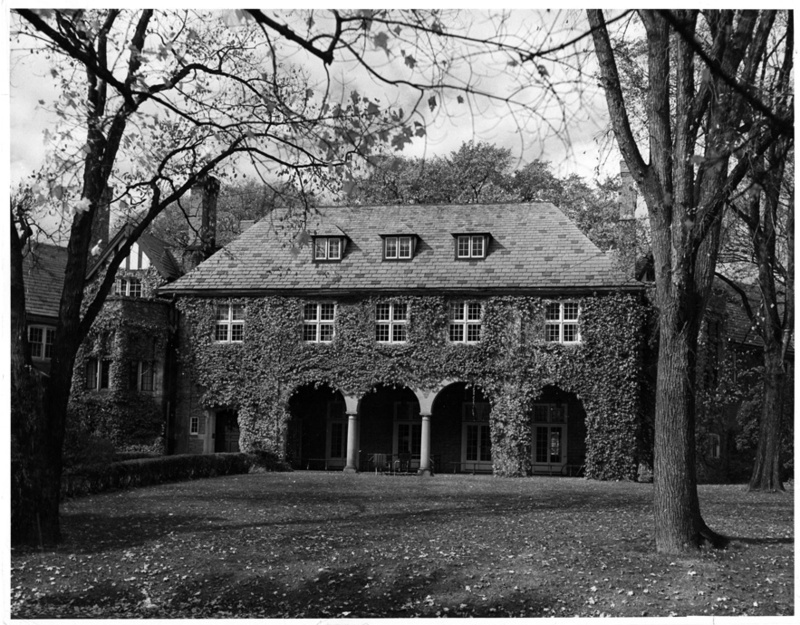 Garman House, formerly Beta Theta Pi fraternity and Boltwood House. Allen Cox, architect, 1916. Drew House, formerly Phi Alpha Psi/Phi Kappa Psi fraternity. Built 1866; remodeled by Allen Cox, architect, 1922.